Cryptocurrencies as much in fuss now and there are a lot of websites and blogs dealing with it. If your need to maintain a CyrptoCoin, ICO, and Cryptocurrency website, then the good news is that there is a huge collection ready-made WordPress themes, with which any one can build such website free of cost with minimal effort and time. By analyzing the latest trends in this industry, the best solution you can think of on doing anything related to CryptoCoin, Cryptocurrency, or ICO is to create a professional blog or a news site discussing about it. 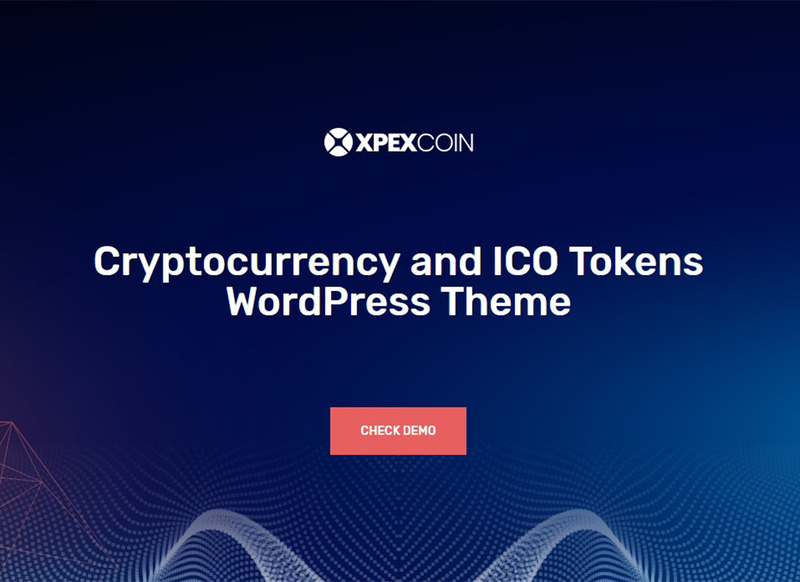 There are a huge collection of cryptocurrency specific WordPress themes available for the developers to use ready-made. Anyone; not even developer, can take a quick instructional video and then start building their own cryptocurrency platform. You can also prepare landing pages and informative sites to share the trading instructions and manuals as well as tutorials on smart methods to mine different types of cryptocurrencies etc. However, as cryptocurrency related fraudulence is also increasing nowadays, so it is important for those who are into this sector to ensure that you build an authentic and professional website to build trust. WordPress content management system is now well known for its professional web development tools as well as extreme SEO capabilities, which will help you to enhance your cryptocurrency blogs and ICO landing pages etc. 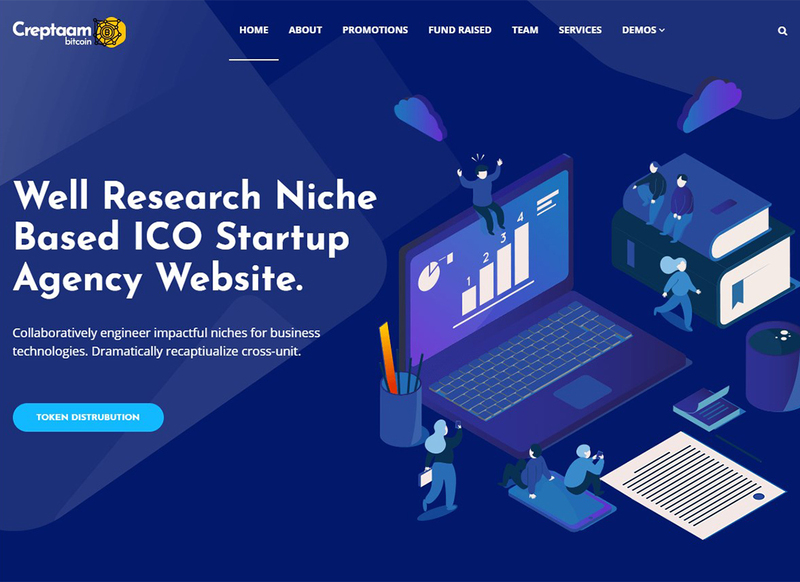 If you have a smart business idea in accelerating your chances in the crypto world, here you can explore a few best WordPress themes of the year to set up your crypto website. The Digibit theme was created with care for every cryptocurrency maniac in the world. 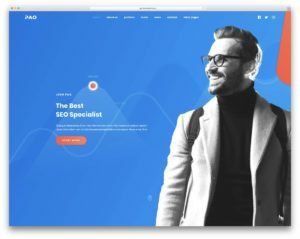 This WordPress theme will let its owner create an amazing cryptocurrency website in a matter of a few days. 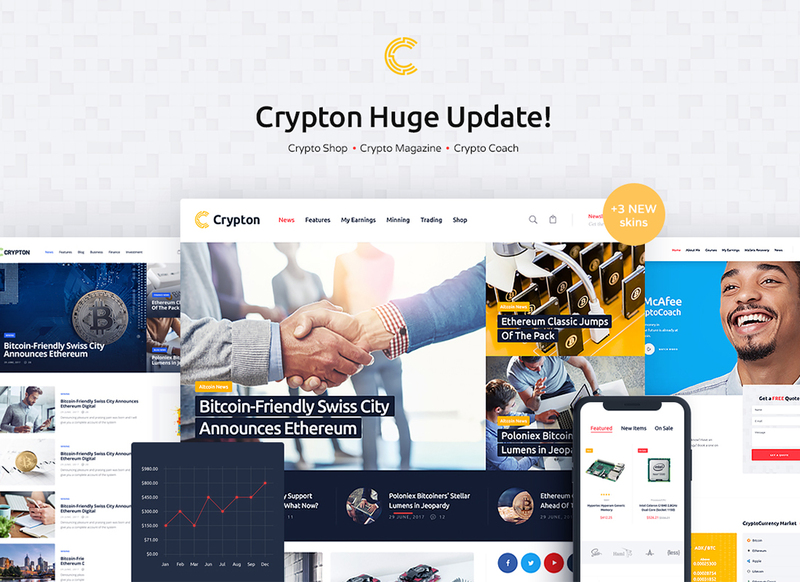 The Creptaam is Cryptocurrency Mining WordPress theme. This item was designed for the digital currency, cryptocurrency, finance, business, corporate, and consulting. 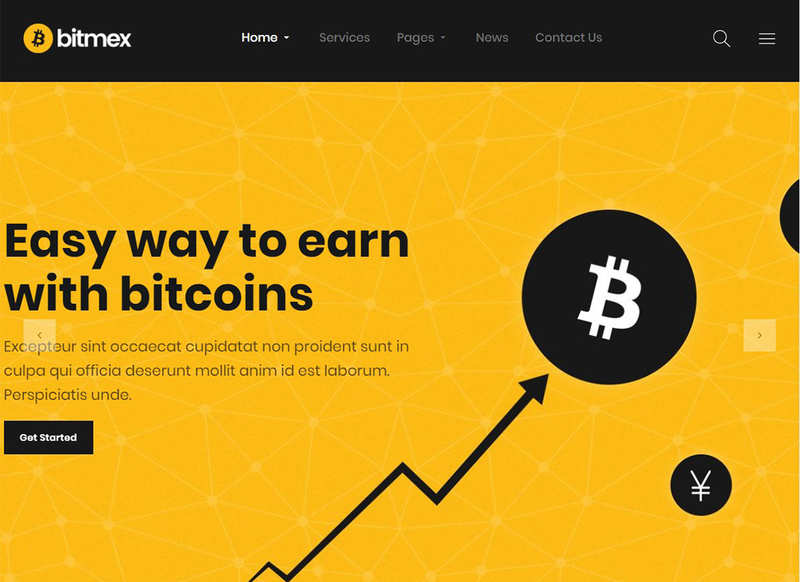 This cryptocurrency WordPress theme comes with a huge set of subpages which you can use to create an amazing website. The Cryptic is a perfect fit for setting up a professional site which deals with cryptocurrency exchange market. Its sleek look is combined with a good bunch of functions aimed at building a powerful site. Feel free to use this ready-made theme for a business site which deals with Bitcoin, Bitcoin wallet, cryptocurrencies or digital currencies. Easy installation and configuration allow you to build the desired web presence with ease. 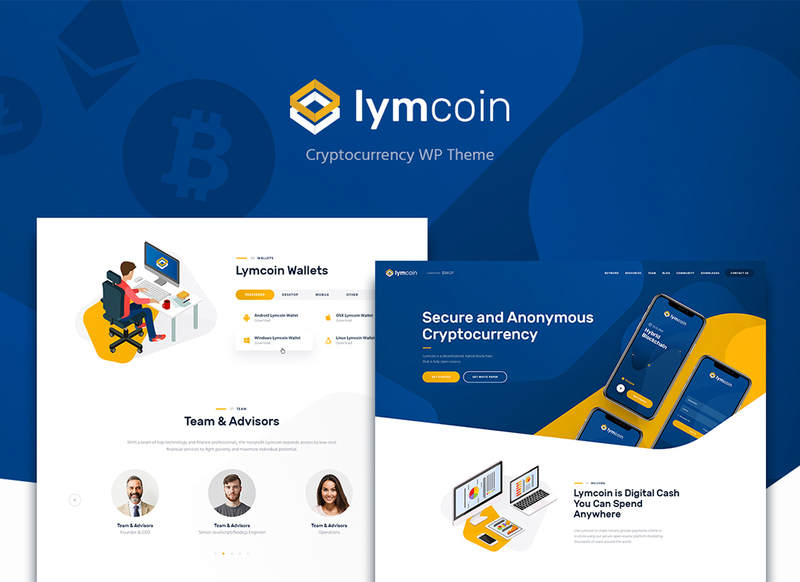 Lymcoin is a powerful cryptocoin WordPress theme developed with WPBakery page builder. 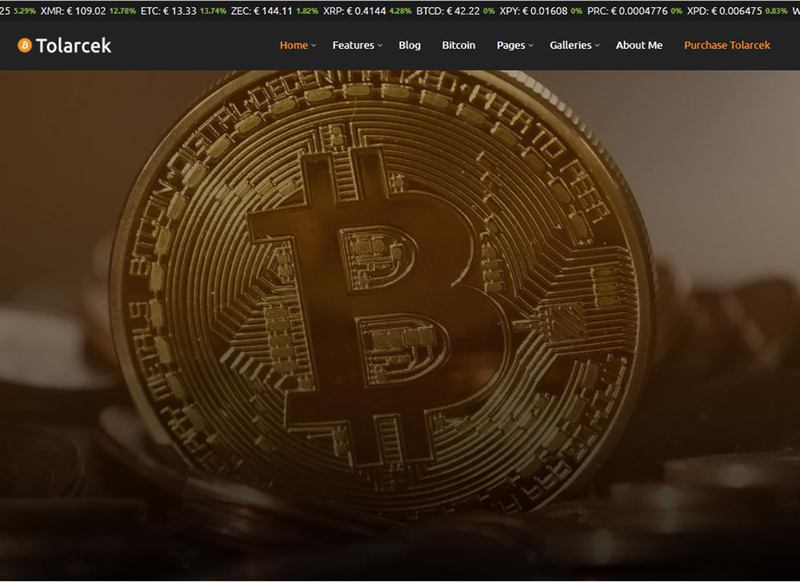 This theme will be a perfect basis for almost any type of cryptocurrency website: cryptocurrency blog, cryptocoach, cryptocurrency accessories shop, crypto coach, blockchain specialist, initial coin offering (ICO), financial advisor, mining equipment sellers, cryptocurrencies, mining rig blog, mining farms, ICO advisor, ICO Agency, cryptocurrency trading market, and so on. 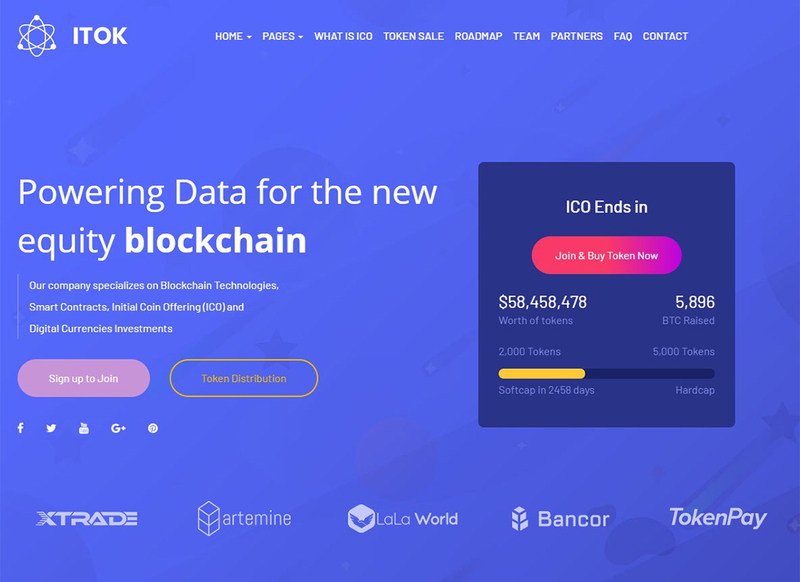 If you want to join cryptocurrency business in a matter of a few days you may consider Tolarcek WordPress theme for your website. 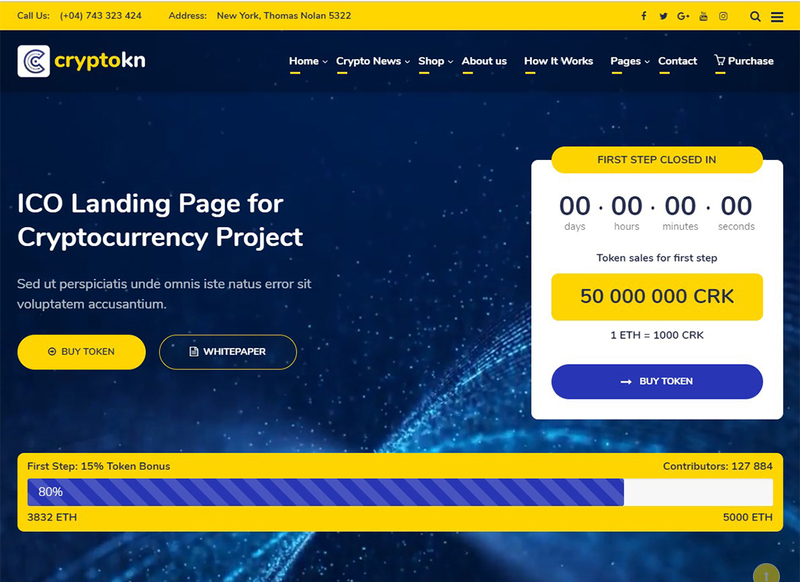 With the Tolarcek theme, you can have either a cryptocurrency blog, mining equipment store or anything else imaginable. 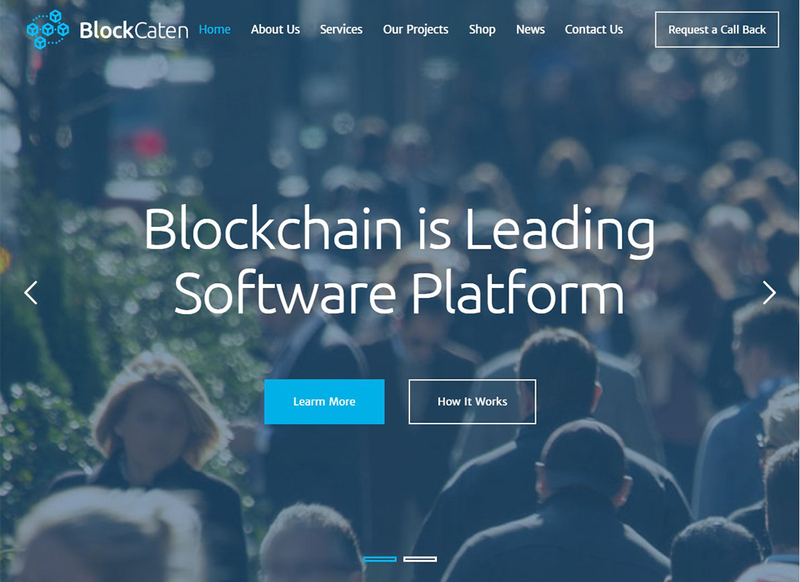 Blockchain – consulting WordPress Theme comes with Unyson framework. We have been developed our theme, collected every feedbacks from previous customers and put everything into this theme. 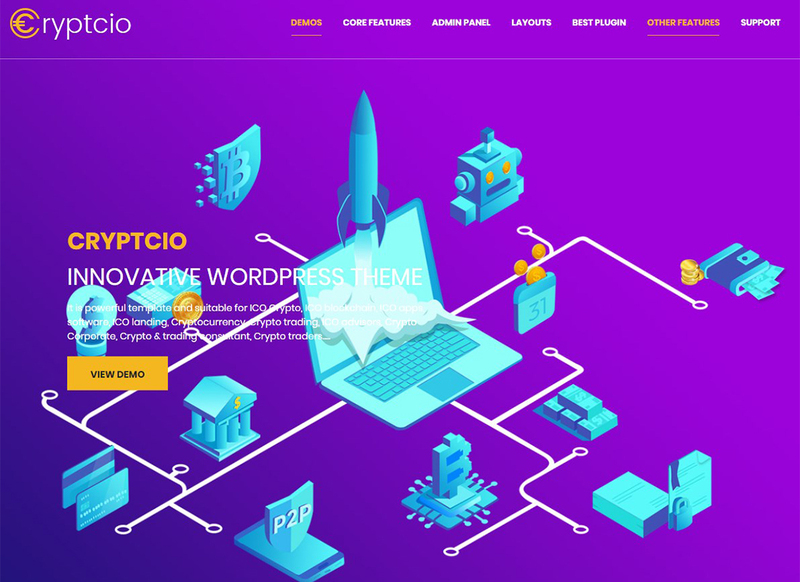 The multi-purpose WordPress template Crypterio is a perfect option for creating an ICO website, or any other cryptocurrency related business offering its advice in the field of investment, crypto mining, blockchain technologies and so on. Discover ITok WordPress theme, a professionally designed theme equipped with powerful functionality. It is created to meet the needs of any type of digital consulting or crypto business. Do you need an efficient solution for an online crypto mining farm website, financial project, or business consulting project? Try this ready to use theme. You’ll enjoy its one-click installation and a bunch of handy elements for an effective showcase of cryptocurrency consulting and promotion of cryptocurrency venture. 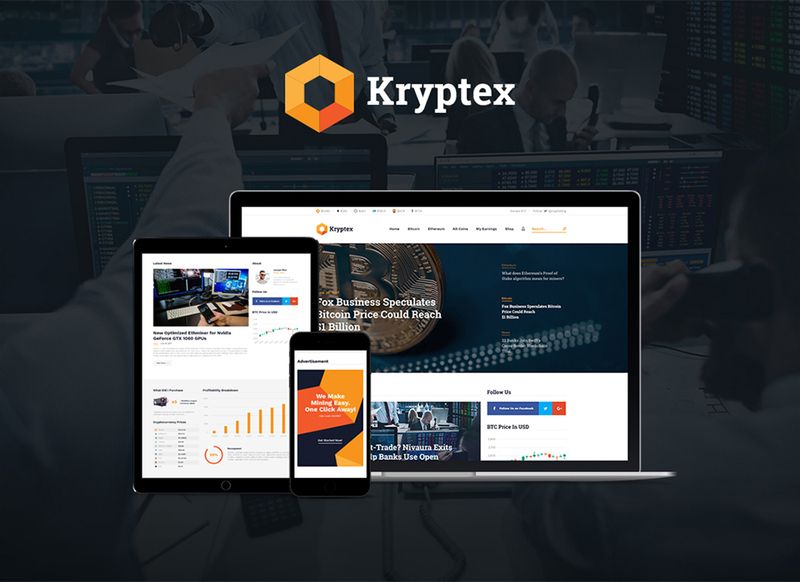 Here’s another responsive WordPress theme that will be a perfect fit for traders marketers and consultants who understand the markets of cryptocurrencies and their trends. 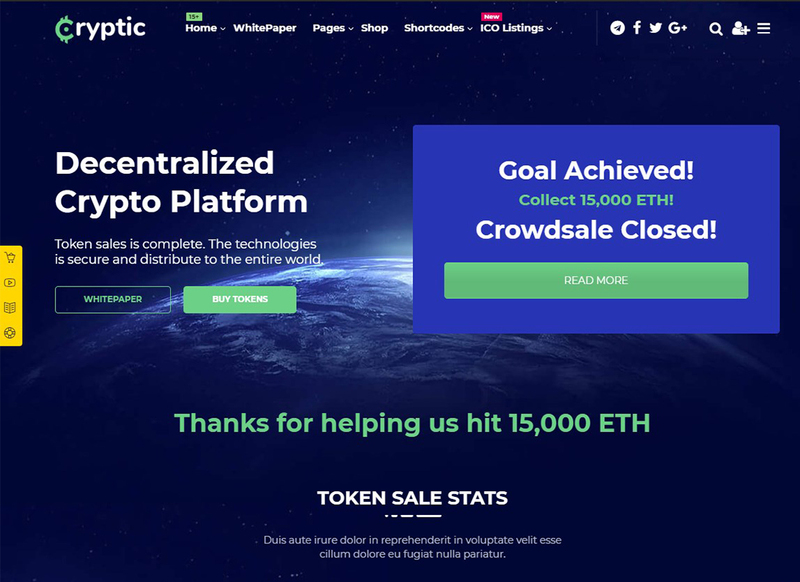 Cryptcio is an excellent template for creating an ICO platform. 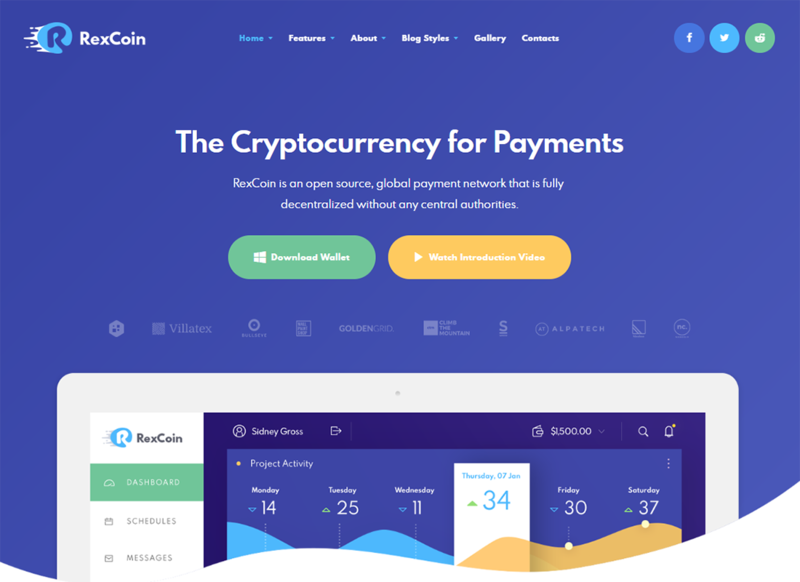 RexCoin is a brand-new multi-concept cryptocurrency WordPress theme launched specially for any type of crypto website. Its unique design will help you outshine your competitors and attract more leads. 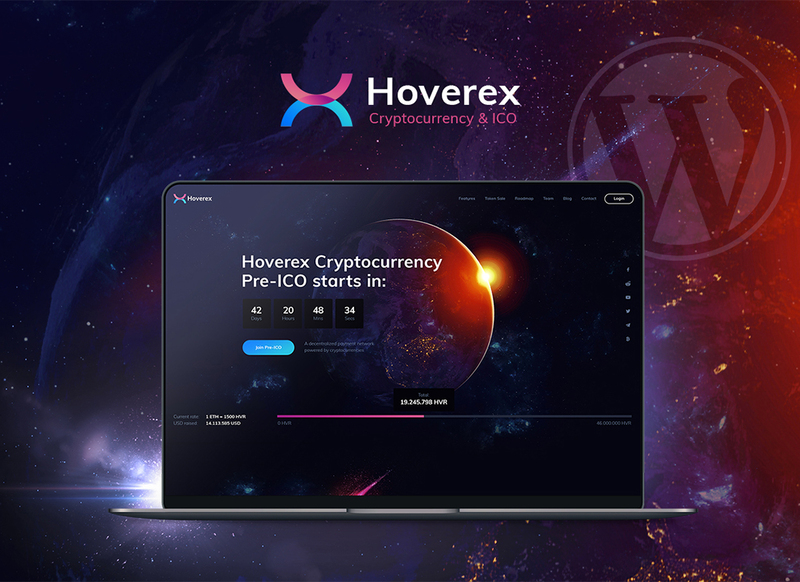 In case you’re planning to build a cryptocurrency mining educational platform Hoverex WordPress theme might be a good fit for you. 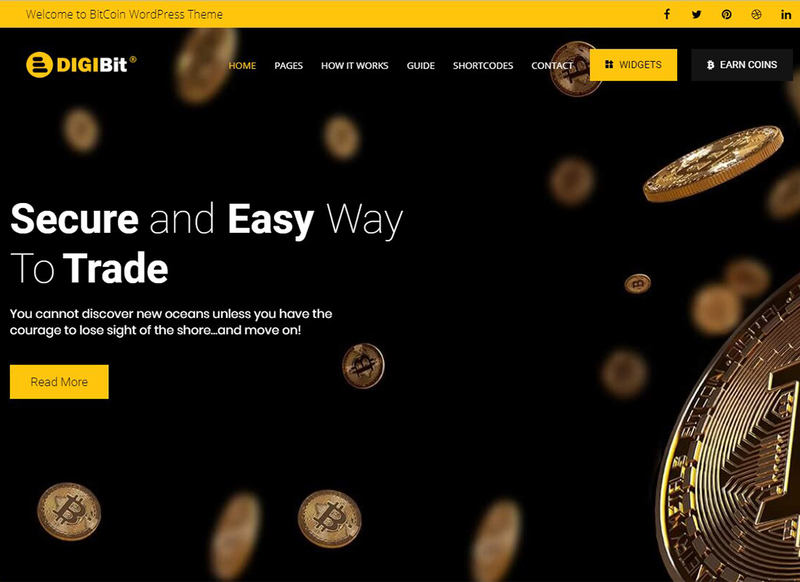 The Tradent Cryptocurrency WordPress Theme is another great at ThemeForest. 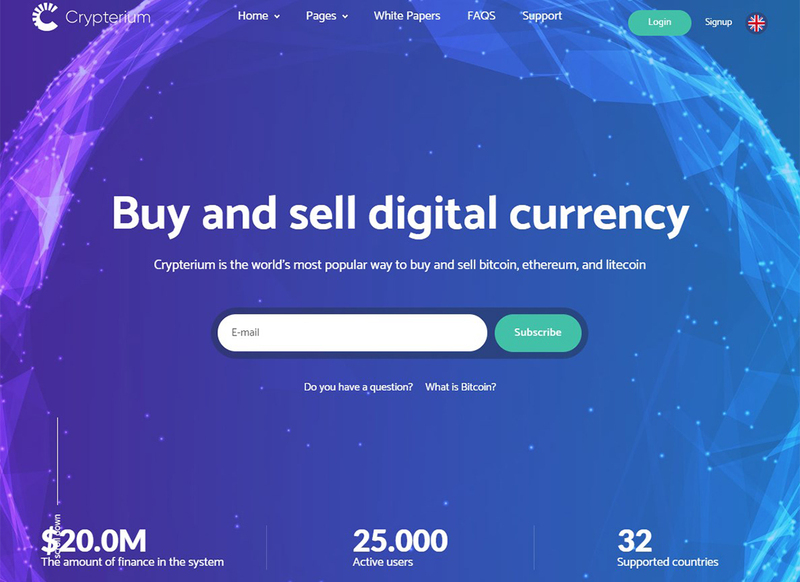 Using this theme you’ll be able to create another cryptocurrency website easily. 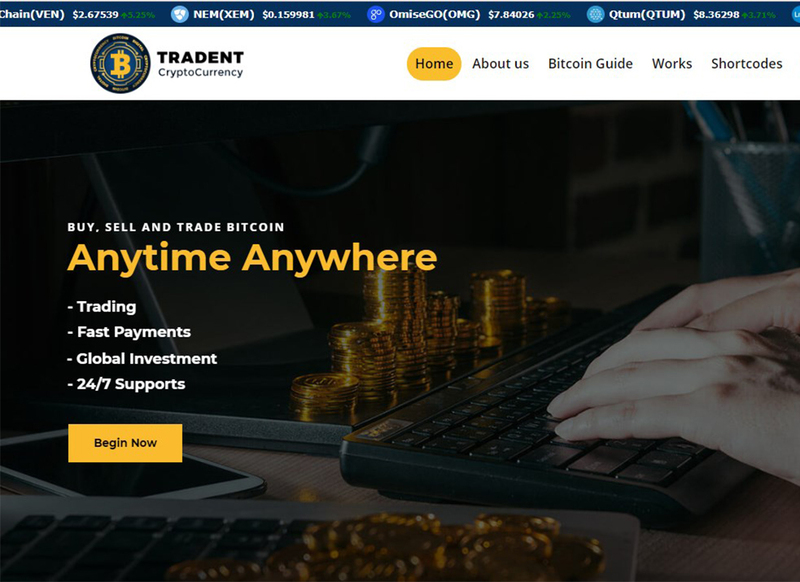 The Tradent themes may cover a range of following topics: ICO-Initial Coin Offering, Blockchain technology, cryptocurrency investments and trading, cryptocurrency blog, cryptocurrency news portal, and so on. Whether your crypto mining businesses is small or a large one, the Bitmex theme is ideal for its effective presentation. The theme is extra easy to build and customize. You can make all the desired changes in real-time with the help of the WPBakery page builder. 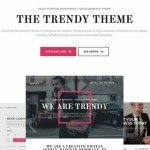 Do you need a trendy WordPress site with a catchy layout? This hot WordPress theme with a huge set of pre-designed pages will help you get the one. You can easily customize it to meet your business goals, and it will not take you extra efforts. A powerful admin area allows changing any settings without touching any code. Here’s another WordPress theme that can be used to build an online educational center powered by LearnPress. As I already said this plugin can let you create lessons with multiple units, final tests, certifications and so on. 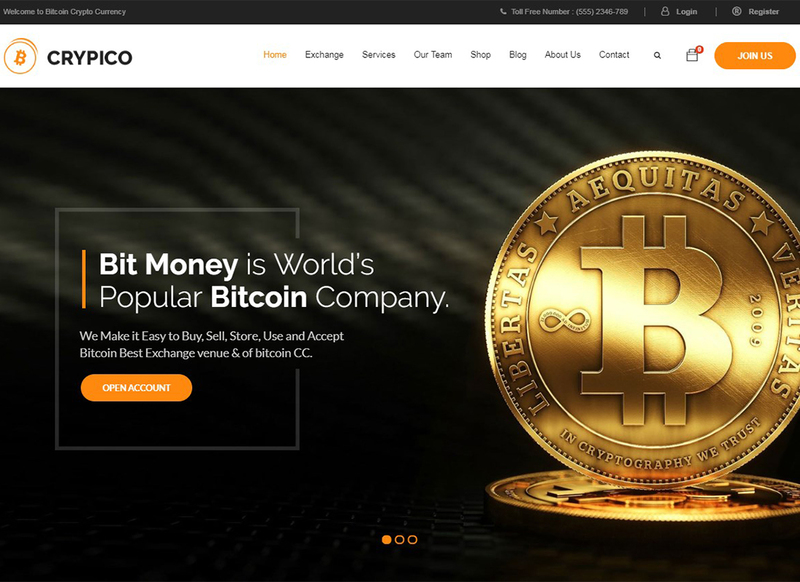 In the range of all cryptocurrency themes available at ThemeForest, there’s one item that can literally be any possible cryptocurrency website. 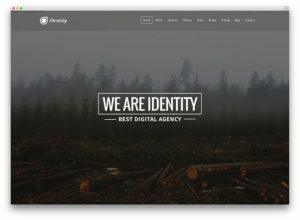 Originally it was released as a blog, but developers and website owners liked its design and the template became a hit.